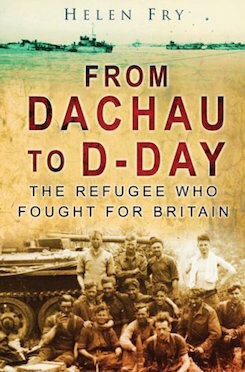 Helen Fry was raised in North Devon and went on to graduate from the University of Exeter with a degree and Ph.D. She has written numerous books on the Second World War with particular reference to the 10,000 Germans and Austrians who fought for Britain. 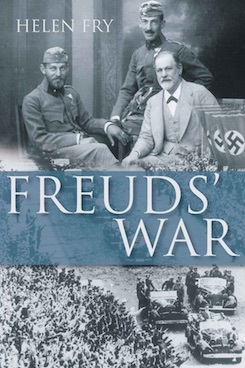 Her highly acclaimed book The King’s Most Loyal Enemy Aliens: Germans who Fought for Britain in the Second World War received international media coverage. 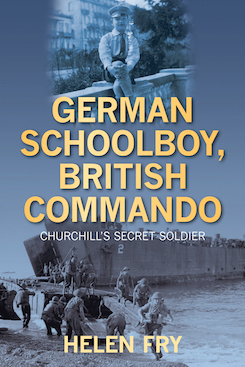 The book is now out in paperback as Churchill’s Secret Soldiers. Helen has worked closely with war veterans with whom she has built up a special relationship for over a decade. 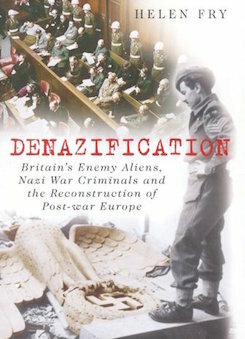 In addition to WW2, her fields of research include many aspects of British Intelligence, the Cold War, and Anglo-Jewish history. Her more recent book The M Room: Secret Listeners who Bugged the Nazis has been the subject of two documentaries and continues to receive media attention. Helen is often asked for an interview for national and provincial radio channels as well as TV and newspapers. 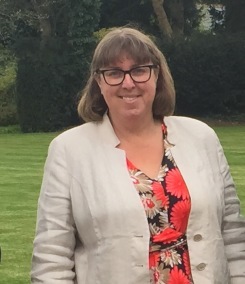 As part of the BBC’s coverage of the 70th anniversary of D-Day in 2014, Helen was one of three historians interviewed throughout the day live in the studio in Normandy with Huw Edwards. She has also appeared on The One Show, and in documentaries Spying on Hitler’s Army(Channel 4 & PBS), The Hunt for Hitler’s Missing Millions (Channel 5) and Churchill’s Germany Army (National Geographic). Now living in London, she is a member of the Biographers Club, The Society of Authors and Honorary member of The Association of Jewish Refugees. I first met Andrew Lownie at the Biographers Club over a decade ago. We have met at many functions over the years and Andrew has always followed my career with enthusiasm and taken a keen supportive interest in my books. I have always admired his phenomenal reputation as an agent, but being loyal to my own agent for a number of years I did not feel it fair to jump ship. When my agent took voluntary redundancy in 2014, Andrew agreed to take me on. I was rather impressed when he responded to one of my book proposals within a couple of hours of receiving it. I am the kind of person who works best with efficient people and Andrew, with his high standards and quick response, is an author’s dream agent. Don’t miss author and historian Helen Fry on ‘David Jason’s Secret Service’ tonight at 9pm on More4, talking about her extraordinary book Spymaster. Author and historian Helen Fry was a contributor to David Jason’s Secret Service, starting on December 5th, 9pm on More4. Helen is set to feature in episodes 1 and 3. 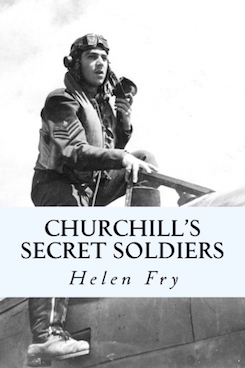 Yale have bought World English rights in Helen Fry’s MI9, the Second World War organisation responsible for the escape and evasion of captured Allied pilots and soldiers, and closely linked to MI6 and SOE. 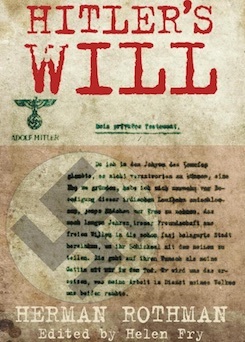 The book taps into new stories and declassified files, including fresh discoveries about MI9’s training at Intelligence School 9 (IS9), the ingenious gadgets created by MI9’s quirky boffins (MI9’s own “James Bond”), all linked to Camp X in Canada, and MIS-X (the American equivalent of MI9). 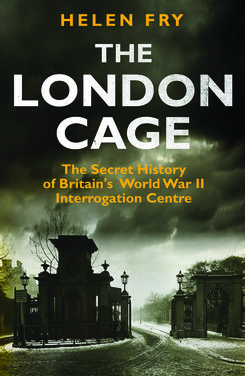 Yale University Press have bought World English rights in Helen Fry’s The London Cage: The Scandal of MI6 and Prisoners-of-War in WW2. Helen Fry’s forthcoming ‘Secrets of Latimer’ talk on her new book Spymaster has now sold out. 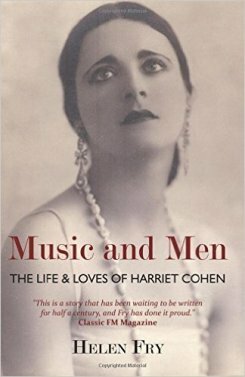 Helen Fry has written an interesting piece on Harriet Cohen, the subject of her book Music and Men. 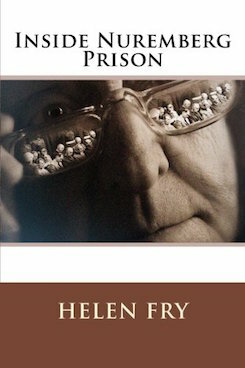 Helen Fry is the Book Guest interview with Helen Lederer this week. 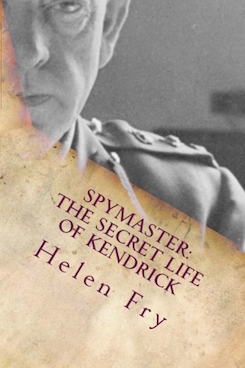 The Guardian today carries a great review of Helen Fry’s new book Spymaster: The Secret Life of Kendrick. 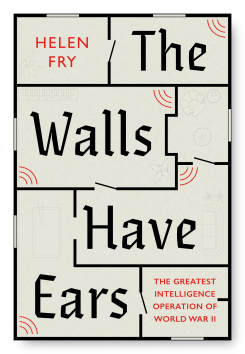 London Grid for Learning recently launched Helen Fry’s book The M Room: Secret Listeners who Bugged the Nazis as a national schools curriculum learning resource. It has just been shortlisted for the BETT Awards 2015. MI9: The History of Escape and Evasion in Europe in the Second World War.